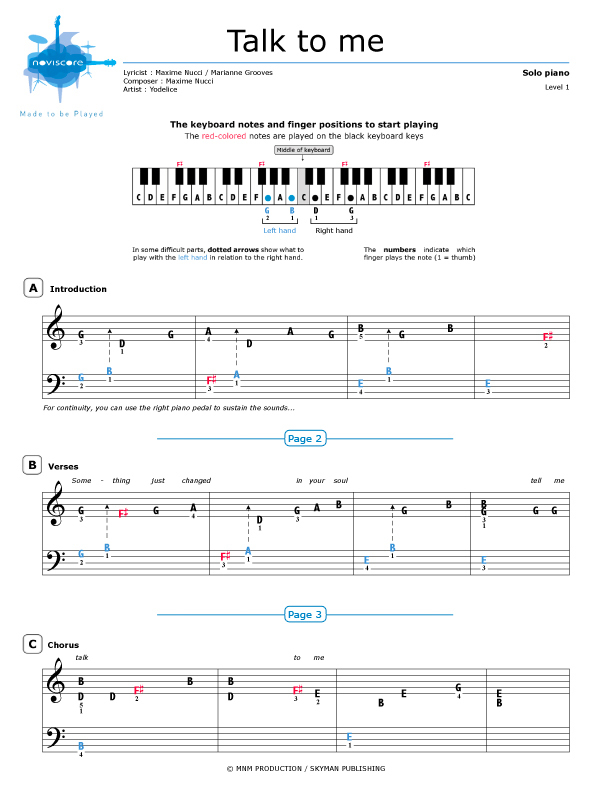 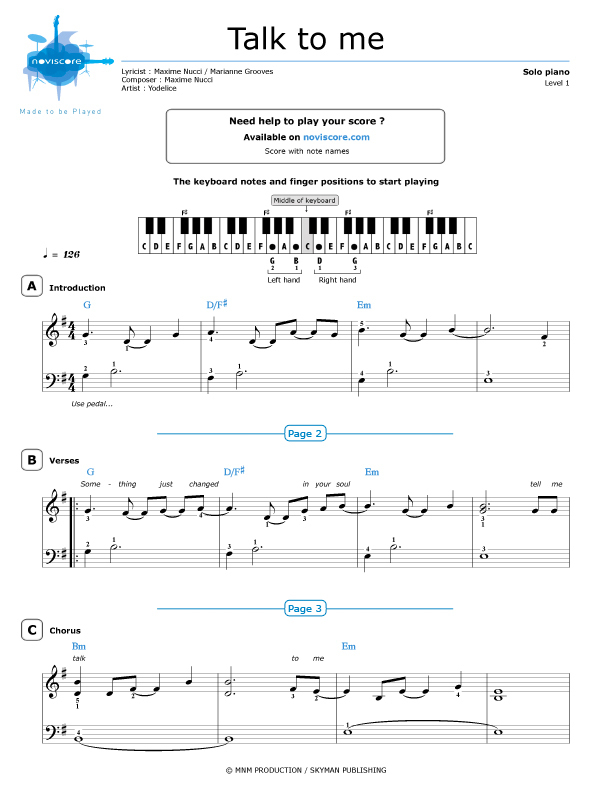 Play our Talk To Me piano sheet music and immerse yourself in the beautiful, moving scene from the film "LittleWhite Lies" (Les Petits Mouchoirs in French). 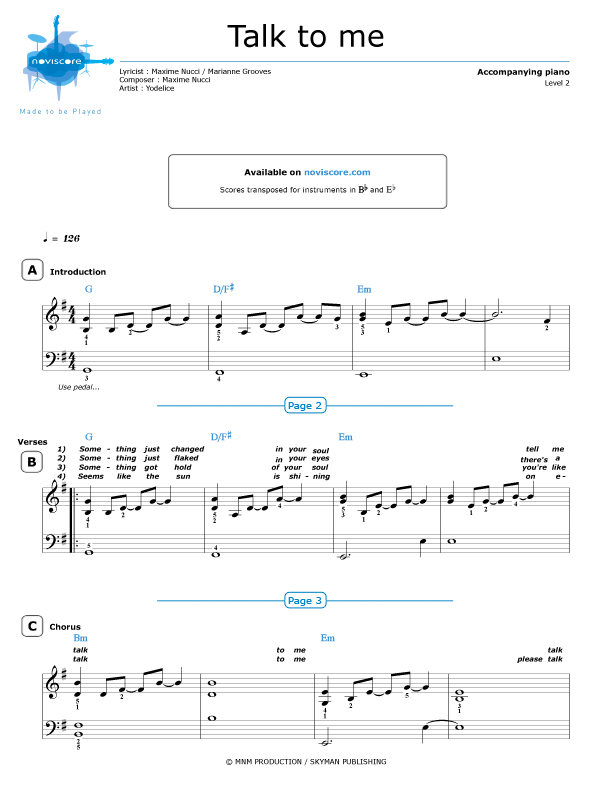 Composed and written by French singer songwriter, Yodelice, this song is a rough diamond that touches the heart and you won't be able to resist playing it. Whether you are a beginner or a confirmed pianist, our pedagogical approach by different skill levels will allow you to choose the right level for your playing ability. 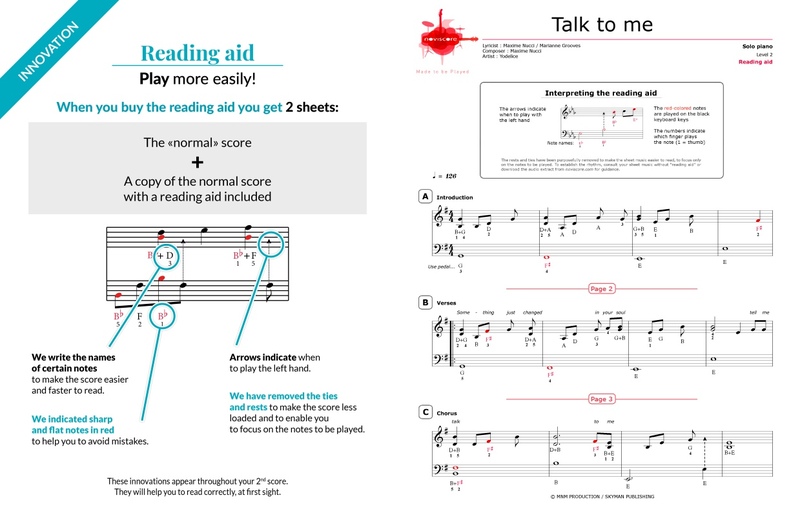 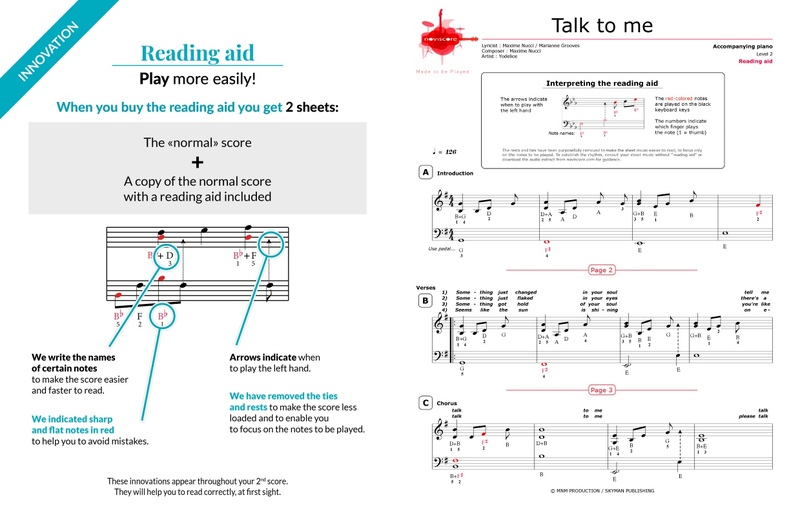 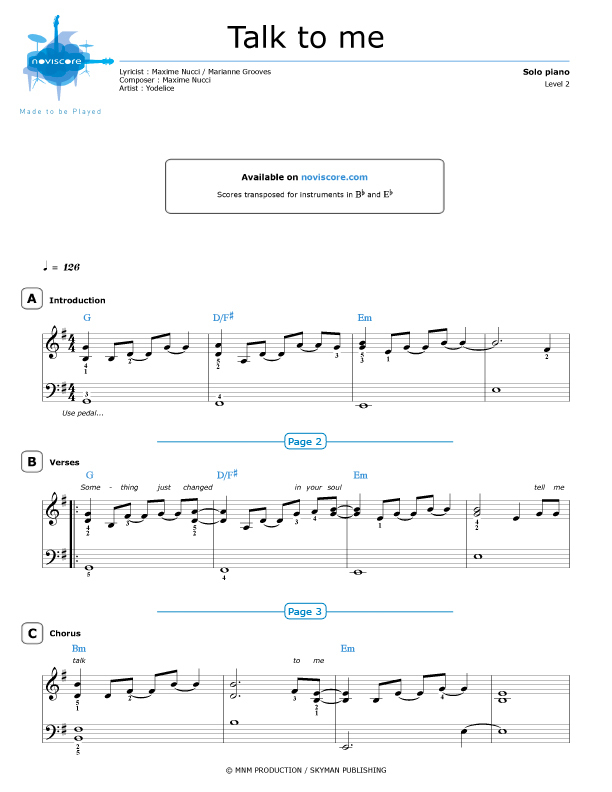 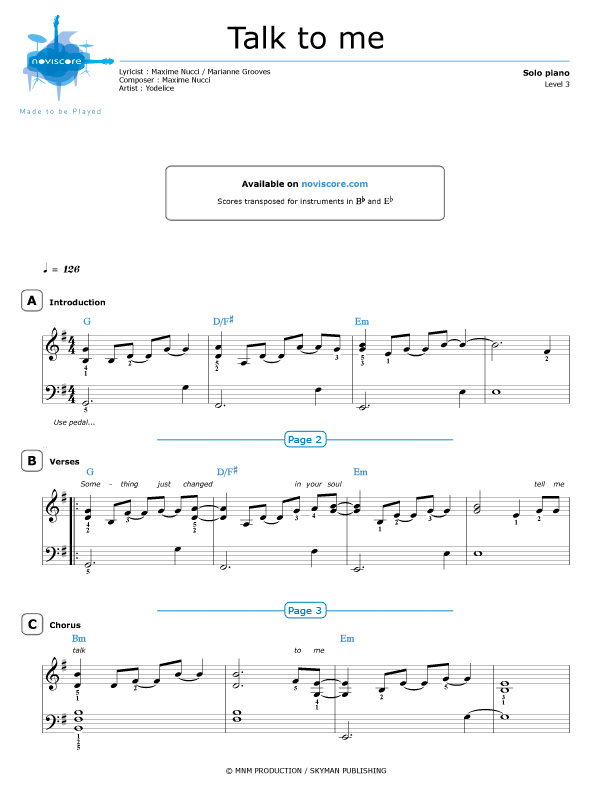 Reading aids are also available to help decipher the music and help with your sight-reading. 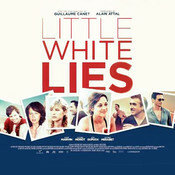 Now all you have to do is start playing this magnificent music composed by Yodelice (or Maxim Nucci as he is also known) from the film soundtrack of "Little White Lies".